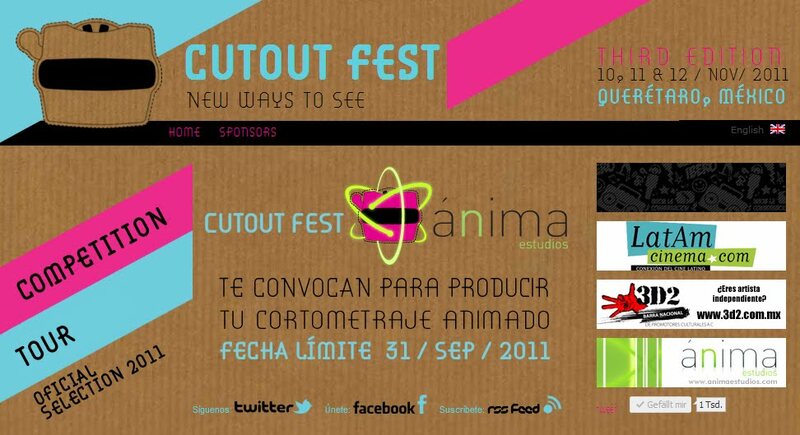 September 2011 – welcome, we are an award winning studio focused on animation and mixed media. Posted on September 20, 2011 at 11:00 am. 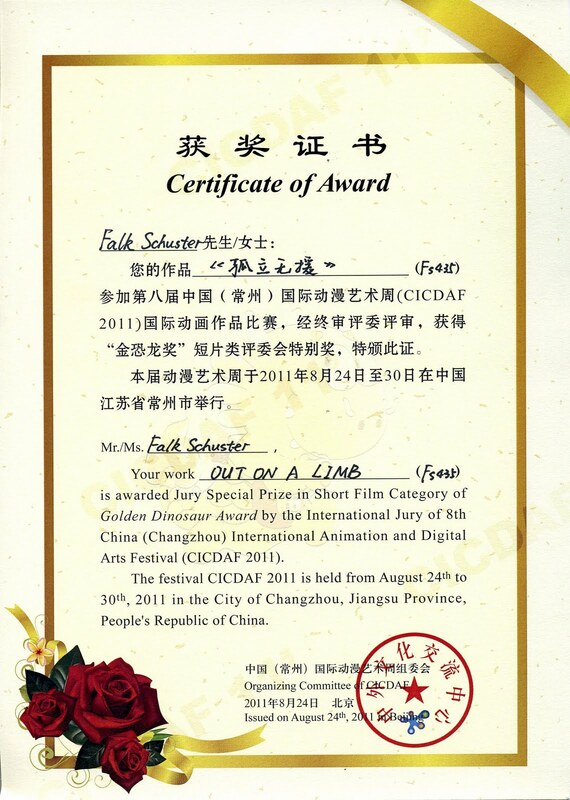 Yes, indeed your film „Out on a Limb“ won the Jury Special Prize in the Short Film Category in Golden Dinosaur Award Competition. Please find attached the e-version catalogue of CICDAF 2011 that you can have more information from. You could also consult our website: www.cicdaf.com. Thank you for your interests to our festival. We hope to receive your new films in future years! Posted on September 18, 2011 at 2:09 pm. We are pleased to announce that your film Out on a Limb has been chosen for the Bradford Animation Festival 2011. Your film has been chosen to play out of competition and will appear in the Panorama 3. · Are you happy for the film to be screened in the festival? OHHHHH, I’M SOOOOO HAPPY!!! Das BAF ist laut Augenzeugenberichten das berühmteste Trickfilmfestival Englands. I’m delighted to inform you that your film: Out On A Limb, has been shortlisted for the ‘Best International Film’ award at Canterbury Anifest 2011. Your animation has been selected as part of Sunday night’s screening, and has the potential to win the award. Posted on September 4, 2011 at 4:47 pm. „Ast mit Last“ geht auf große Reise,der Film fährt nach Lateinamerika, denn er wird auf dem größten mexikanischen Trickfilmfestival, dem „Cutout Festival“ gezeigt.